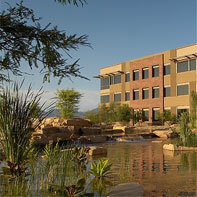 A 2,000,000 SF Class A office/retail development in the heart of Scottsdale Arizona. 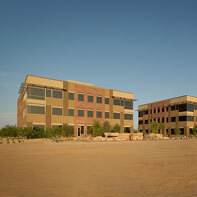 Located along the Loop 101 Freeway, this $400 million project's first phase is completed with Class A corporate space available for immediate lease. One of the country’s largest developments on Native American land, Riverwalk at Talking Stick will yield an estimated 1.5 million SF of corporate office and retail space, and create up to 15,000 new jobs. Alter’s flagship development in Phoenix, the $400 million Riverwalk at Talking Stick, is one of the country’s largest developments on Native American land. The park will feature 1.5 million SF of Class A multi-story and single-story office space and 600,000 SF of retail space and create up to 15,000 new jobs. 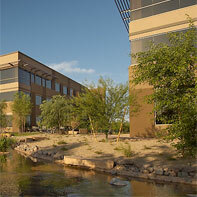 Riverwalk at Talking Stick is home to the renowned 142,000 SF RTech, and a 3-story, 175,153 SF Class A office building (former Medicis headquarters). Riverwalk at Talking Stick is a sumptuous landscaped environment with a dramatic water feature and is bordered by Talking Stick Resort, Spa and Casino and a 36-hole championship golf course.